There's hardware and software polish alike in Lenovo's new Yoga laptop. 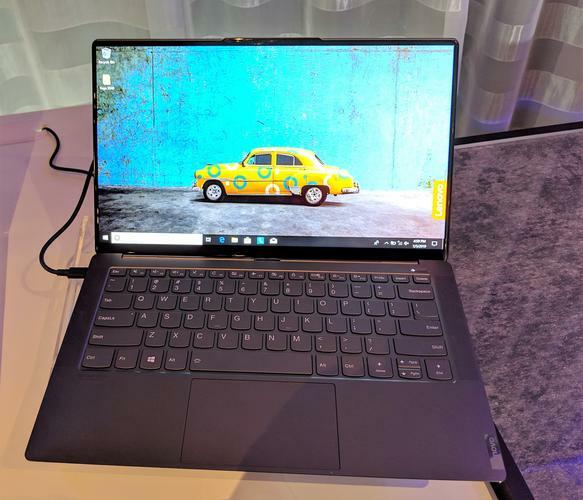 Lenovo’s Yoga laptop series straddles entertainment and work chores more adroitly than the company's premium X1 lineup, and the new Yoga S940 contains a package of new “Smart Assist” technologies that allow users to switch from casual browsing to a business persona in a flash. The Yoga convertible laptops contain 8th-generation Intel Core processors, as well as an aesthetically pleasing “Contour Glass” display with rounded edges, somewhat like a smartphone. (The Yoga S940 offers a 90 percent screen-to-body ratio, Lenovo says.) 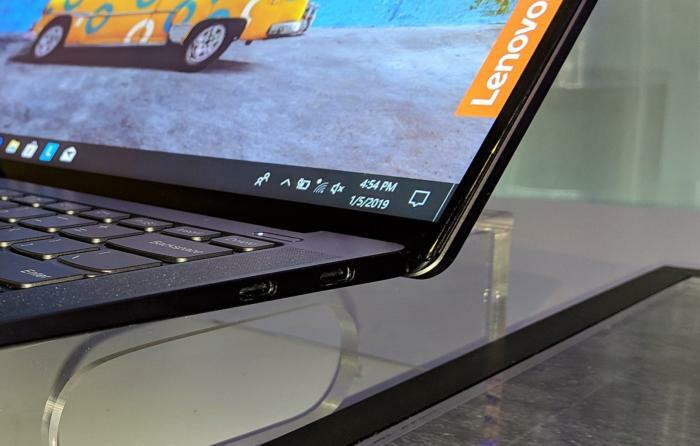 And Lenovo’s also made the shift to Thunderbolt, with a pair of Thunderbolt 3-enabled ports on the side of the chassis. Dolby Atmos-powered speakers are also included. The Contour Glass wraps around the display at the corners, givving them a pleasing rounded look. The S940's pair of Thunderbolt ports are also showed off here. 's bundled AI features, part of the new Smart Assist package. The idea, according to Lenovo, is that you’ll be able to transition back and forth between work and play. It’s a scenario that freelancers, remote workers, and others may encounter in shared workspaces or something as commonplace as a coffee shop: One minute you’re browsing idly, the next minute you’re on the clock. Built-in Glance technology from Mirametrix: This provides eye tracking as well as presence detection. Unlike the related eye-tracking technology from Tobii, Mirametrix' Glance doesn’t try to establish itself as an “eye mouse;” it instead looks to your face to broadly detect where you’re looking, and whether you’re at your PC. If Glance can’t detect your presence, it can blank or lock your PC; if you shift your focus to a second monitor, wiggling your mouse will “teleport” it to the new screen, without the need for repetitive scrolling. Ambient noise filtering: To tune out background noise. A related Lenovo feature (which should be coming to Windows as well, via Microsoft Teams) will also filter out the background—or what’s behind you—from the user-facing camera during a video call. Voice recognition: You can also train the Yoga to recognize just your voice when talking to Amazon Alexa or Cortana. Naturally, there’s also Windows Hello (as a user-facing depth camera) for logging you in, as well. Power optimization: Lenovo claims that the Yoga S940 will also learn from your behavior and automatically shift into a low-power mode when needed; note that the battery life would otherwise drop rather dramatically from its estimated 15 hours or 9.5 hours, depending on whether users opt for a 2400p or 1080p display. 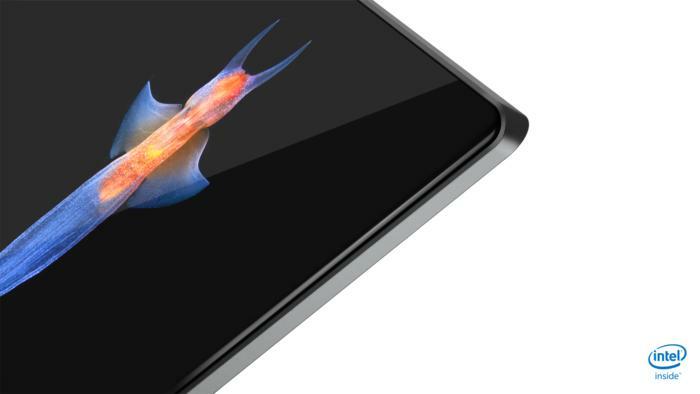 Lenovo’s curved Contour Glass adds a bit of style to the Yoga S940’s display. 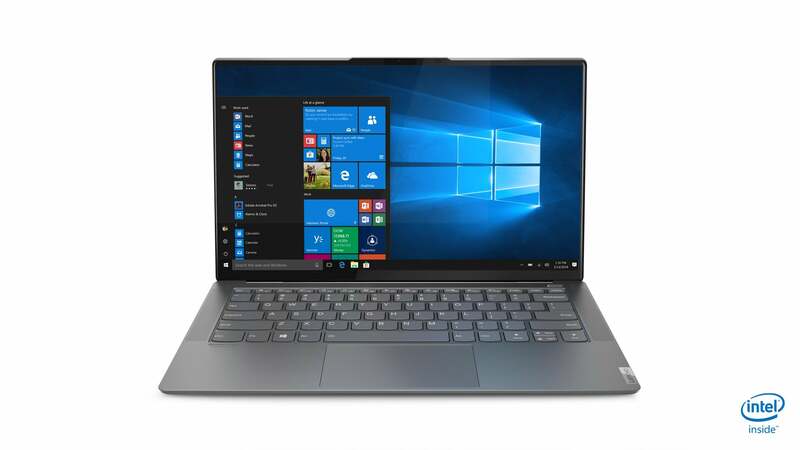 One of Lenovo’s strengths has always been its practical Vantage software utility, which upgrades the BIOS, allows you to access warranty and service information, and adjust functions within the notebook. Smart Assist looks equally useful. Note that you don’t get some of the iconic technologies that grace the ThinkPad lineup, like the red TrackPoint nub. But the Yoga series is priced a bit more affordably, with more consumer-friendly technologies. Prices will begin at $1,499 when the Yoga S940 laptop ships in May, Lenovo said.